BollywoodShaadis is India's biggest and most popular wedding lifestyle and news website. With a humble beginning in 2010 and after a journey of 6 years, we are today enjoying over 10 million visitors each month on our website. BollywoodShaadis brings you daily updates on celebrity weddings, trending stories on Indian weddings, and much more. We are the first ones to cover any breaking news on celebrity weddings and latest scoops around them. We also tell you about everything that is in vogue in the wedding season every year. Whether you are a soon-to-be bride, groom or the couple’s family member or friend, you will definitely find something here that is just meant for you. With a reach of millions of visitors each month, we are proud to have inspired a lot of couples to make their big day truly special! And, we would totally love to make your D-day as well an extraordinary one. So, come and be a part of the BollywoodShaadis’ family, and have a Happy Wedding! You want to write for us? We have a wonderful team of writers out here. But, we are always looking for writers and bloggers who love to write original and thought-provoking articles. 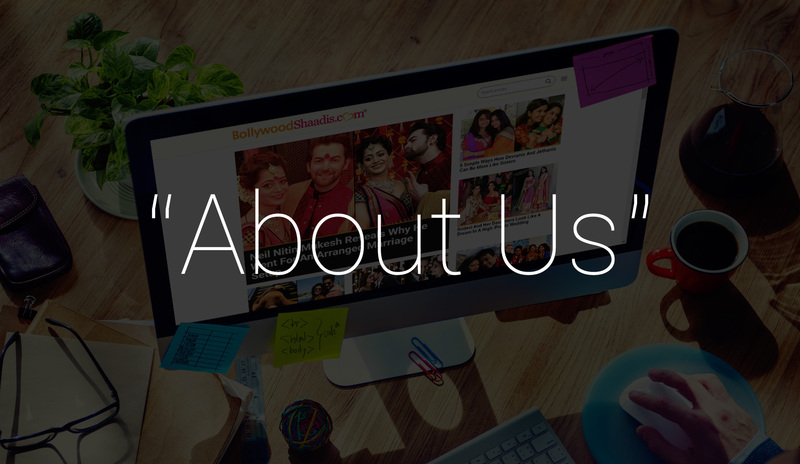 And, if you have something amazing to share about the topics that we cover, then feel free to drop us a line at jobs@bollywoodShaadis.com or click here. You want to be a part of our expert panel? We have assembled a team of top experts to write for us on a variety of topics ranging from beauty and fashion, fitness and relationship, astrology and honeymoon to all the other elements that directly or indirectly design a dream wedding celebration. Being a comprehensive wedding resource and inspiration website, we invite people who have the knowledge and expertise, to share their wisdom with our audience across the globe. If you wish to join our Expert Panel (or want to know why you should) then just click here. Believe us when we say, our creative collaboration with you is a win-win situation for both! You are a photographer and you want to associate with us? If you are a wedding photographer and you want to become a part of our photographer's panel, then just drop us a line at contact@bollywoodshaadis.com or leave us message on our Facebook Page with links to your work. Once you become a part of BollywoodShaadis.com, our editorial team will visit your website and Facebook page for photographs whenever we have an article where we require images of real weddings and wedding rituals, etc. Rest assured, whenever and wherever we use your photographs we will give a due credit to you below your image (as Image Courtesy). Is there something on BollywoodShaadis.com that belongs to you? BollywoodShaadis.com has its own wide base of images, from our stock images bank and as well as from our panel photographers and experts. Yet, we travel across the great World Wide Web from time to time, for interesting and exciting images and content. And, whenever we take anything from the web, we strongly ensure that we give due credit and link backs to its rightful owner and creators. However, if you come across something on our website that belongs to you, and for which you would either like a courtesy or like us to remove it all together, then panic not! Just send us a mail across at contact@bollywoodshaadis.com. In your mail, just mention the name of the article and the issue that you have with it, and we will take care of the rest, ASAP! Do you want your brand to reach out to millions through us? 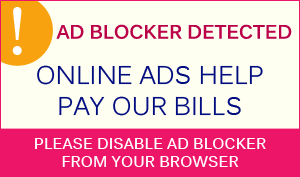 Well, if you are looking for advertising and content partnership, then just write to us at contact@bollywoodshaadis.com, and our marketing team will get back to you.